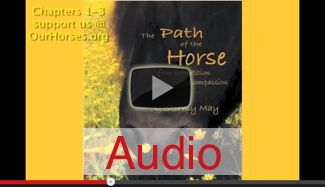 This is the audiobook which accompanies Stormy’s movie documentary and which discusses different perspectives about how our treatment of horses is changing. Hear the views of a former horse trainer who travelled the world to find how to have better relationships with horses. You can download the whole book at OurHorses.org.